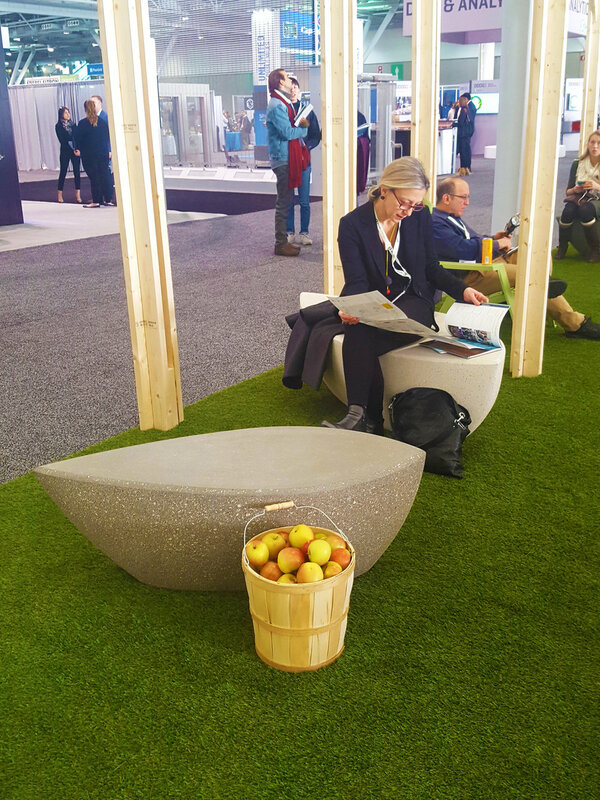 Central Park is an 80 foot long pavilion designed as sculptural forest providing a comfortable (and cool) interior landscape at ABX 2017/ Greenbuild in Boston. 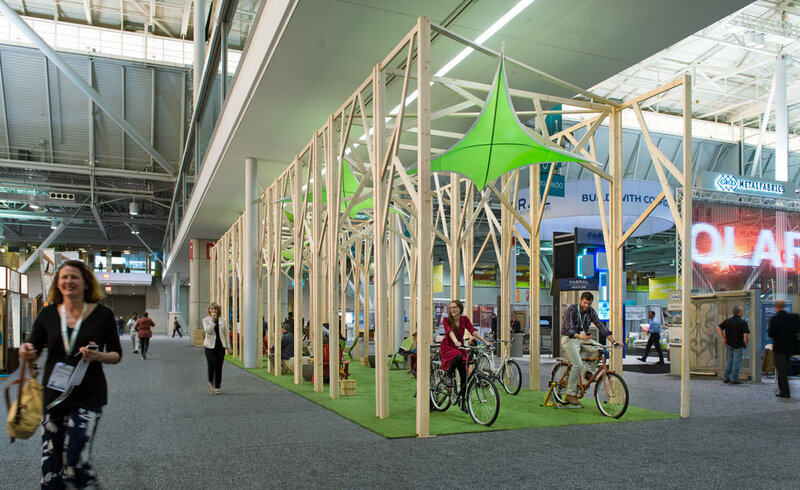 Located at ABX, the pavilion features a forest of trees constructed from 2 x 4 lumber, a lawn of soft artificial turf, a tensile structure leaf canopy, custom concrete petal benches and moveable furniture. Like a park, it is a place to hang out, meet friends, charge your phone (ride a bike) and other leisure activities. - The Charging Peloton hosts a fleet of stationary bikes to charge your phone while exercising. - The Presentation Lounge provides a venue for quick 10-minute landscape architecture talks by the upcoming landscape architects, as well as a continuous landscape architecture slide show.